I did just score a really nice CBR954RR tail piece off e-bay. Including shipping, $25! Last edited by podunkian; 01-14-2012 at 03:15 PM. Gotta start somewhere. Grats on the e-bay score, too. 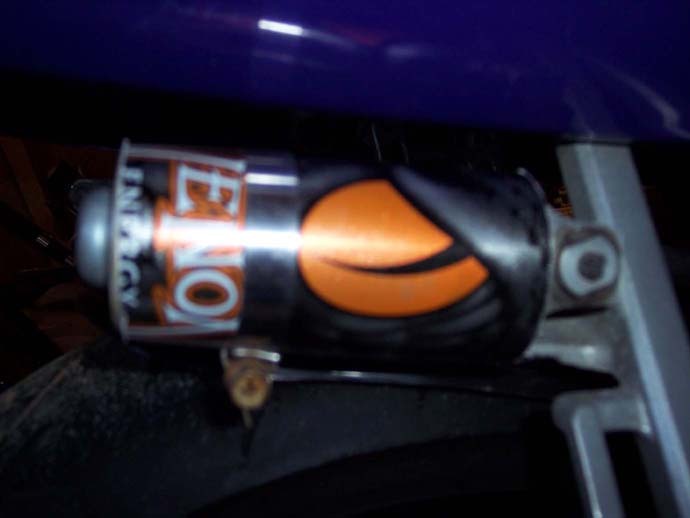 just a can covering the rear shock reservoir. I think the red bull cans fit nicely as they are but then people just cut some other types of energy drinks to fit. You can put pretty much anything round that you want on it. Ah got ya that makes sense, I just don't have one on my 87 600f.